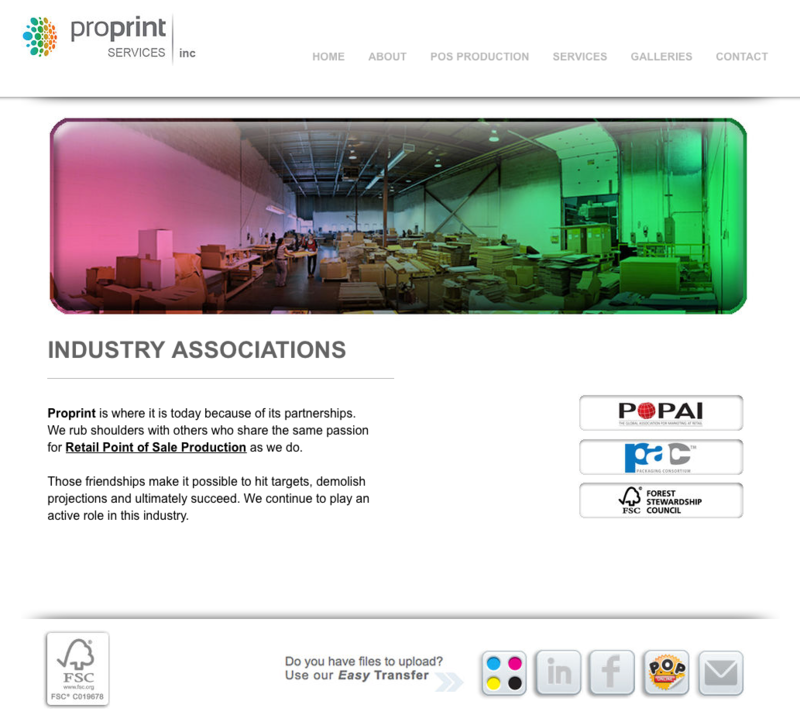 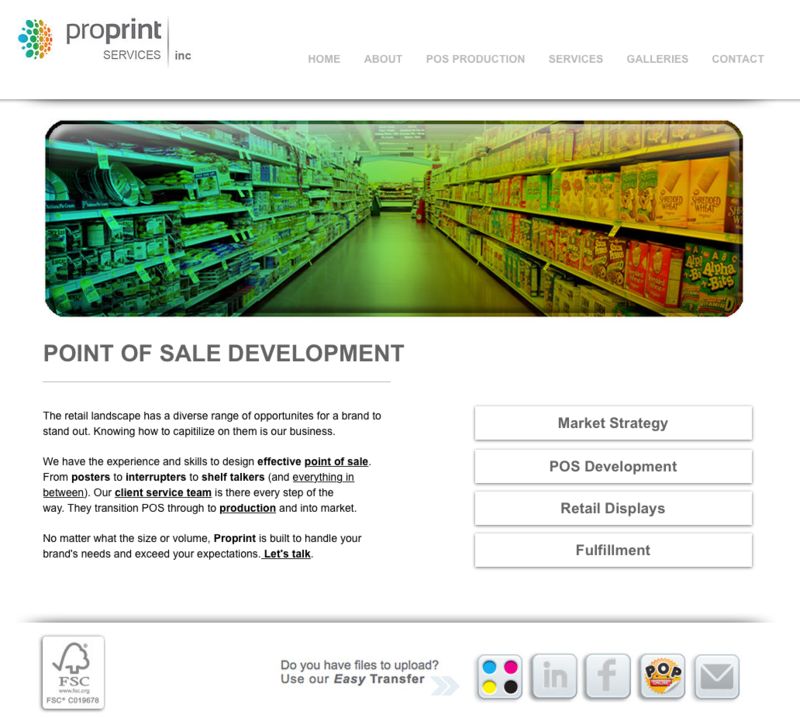 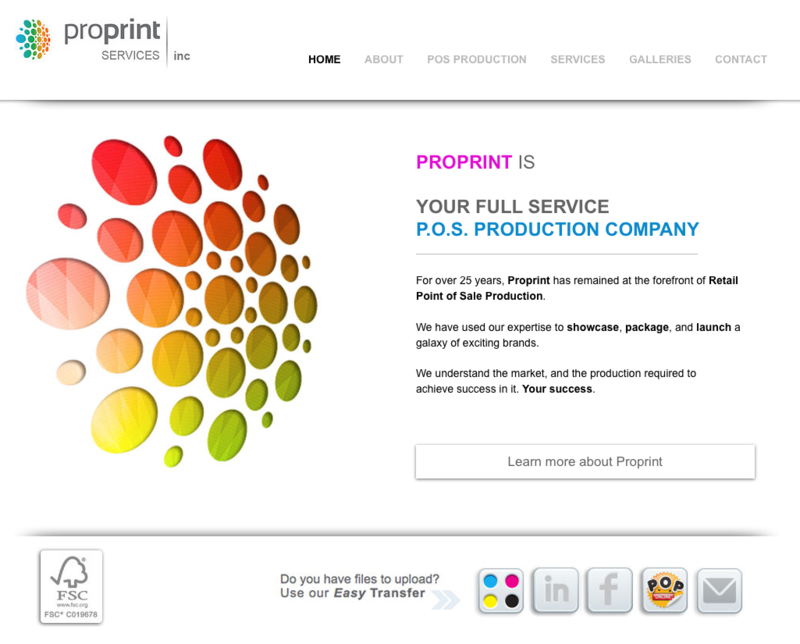 Website for Proprint Services Inc.
Proprint Services Inc. is a retail pos production company. 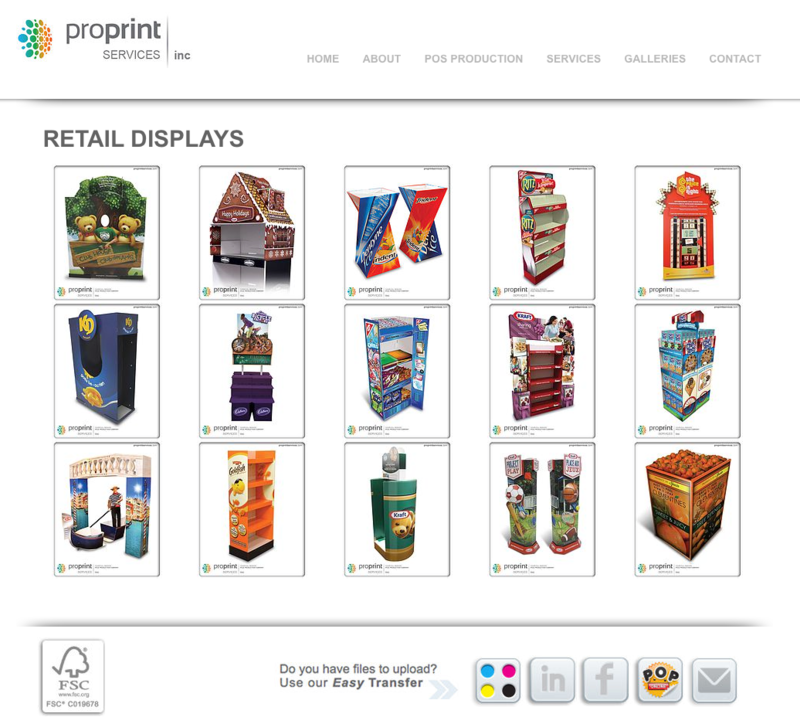 For over 25 years they have serviced a wide variety of top-level retail brands. 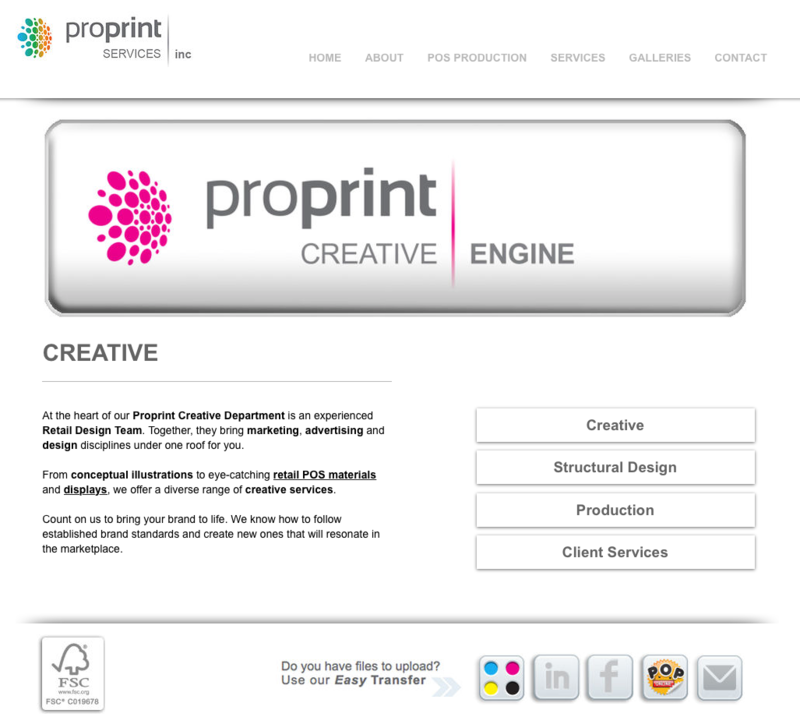 This website was designed internally.